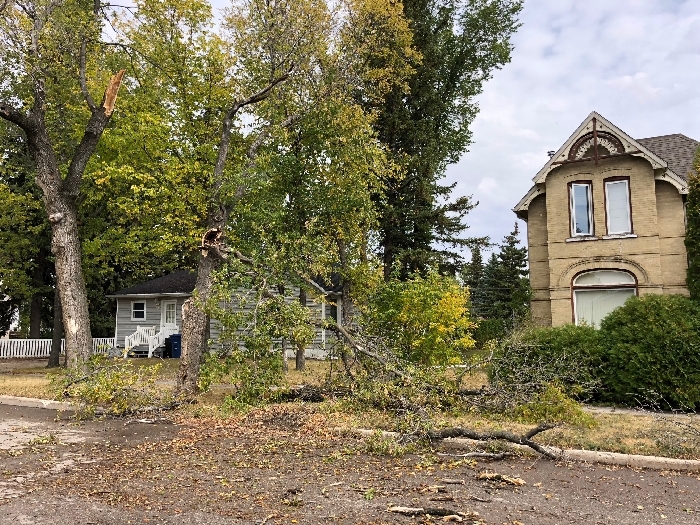 The town of Moosomin has opened up the landfill site today to help people clean up from the storm that passed through Saturday evening and knocked down trees and branches around town. Some entire trees were uprooted. According to the town of Moosomin, the landfill attendant will have the dump open to the public to haul “TREES ONLY” today from 10:00am to 5:00pm, even though it normally closed Sundays in September.